Phone cameras are unbelievably powerful these days, but even the best shots you snap still deserve some special attention in post-production. Sure, Instagram makes it easy to mask flaws with a washed-out filter and VSCO can inject some next-level moodiness, but there's a whole wide world of better photo-editing apps out there. 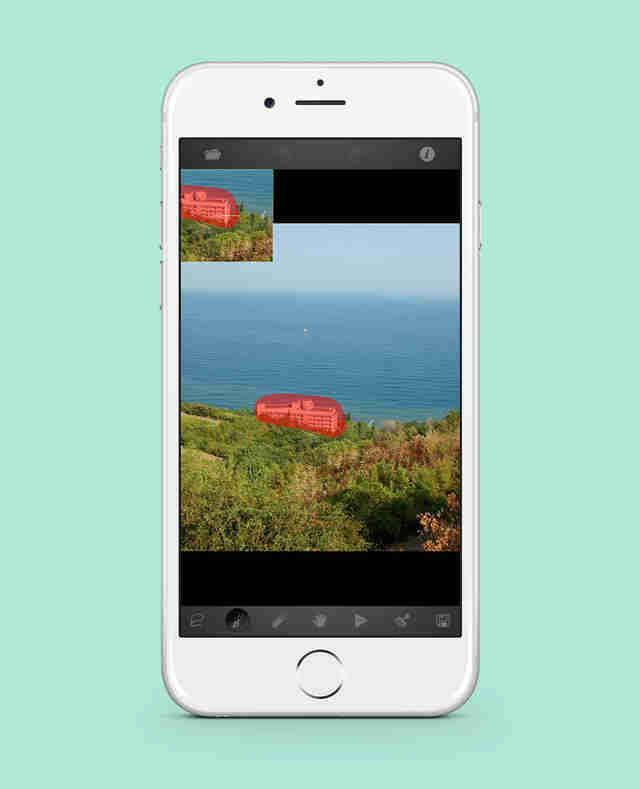 Here are seven to download right now that will transform you into a bona fide photo wizard. Why you need it: You can easily and cleanly remove photobombers, random people, objects, buildings, and any otherwise unwelcome items from a photo. Did you snap a pristine sunset photo at the beach, except for the random old dude in a Speedo bending over in the background? Is a lens flare ruining that "candid" photo of you and your BFF? 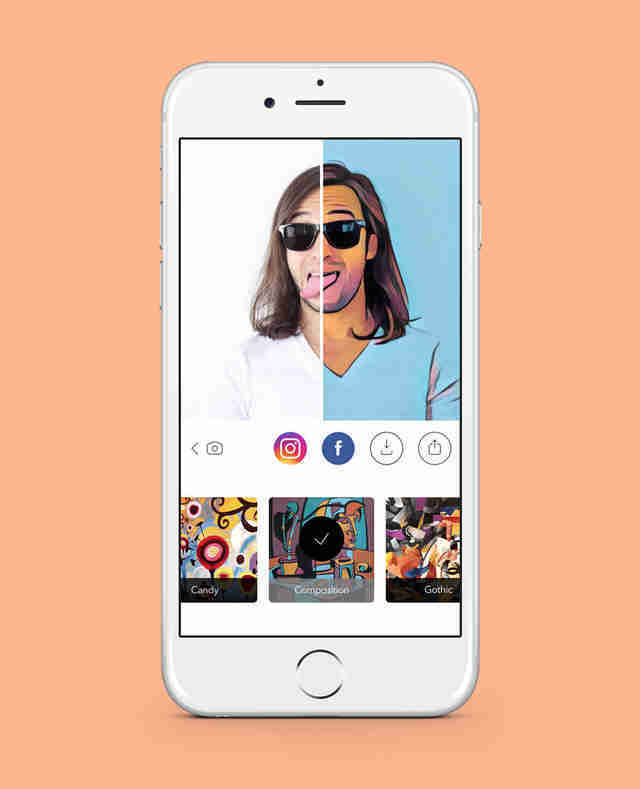 Not a problem, since TouchRetouch makes it easy to seamlessly pluck any unwanted detail from the frame in just a few taps. Why you need it: It lets you create custom filters and manually edit like a pro without having to import images. 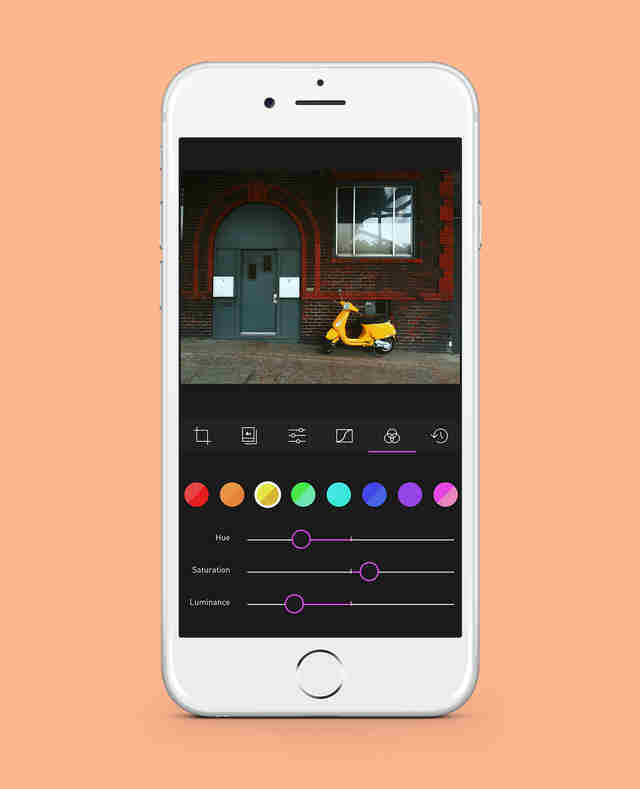 Darkroom comes stocked with the sort of granular editing tools preferred by professionals, like direct RGB curve editing, earning it comparisons to a mobile version of Adobe's Lightroom. 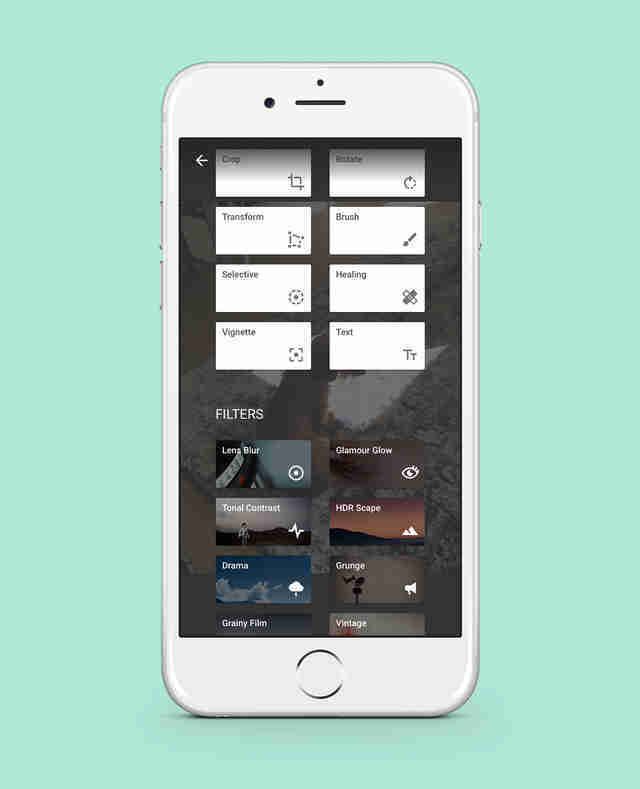 You can use it to create a catalog of your own custom filters to slap on any future photos you take. Best of all, it keeps track of all your changes as you play with a particular image, allowing you to undo individual tweaks so you don't have to start from scratch if you screw up. Why you need it: It's Google's all-in-one editing suite, so it's easy to use and totally free. After undergoing a major upgrade last year, Snapseed has proven itself among the best mobile photo-editing programs in the app store. Like a couple other top-notch mobile editing apps, it gives you access to a wide swath of tools to swiftly make even the most granular changes on the fly, but unlike those others that often require in-app purchases for the best features, Snapseed is 100% free. Why you need it: It will make you look good in any photo. Unlike Beyonce and Lil Bub, some of us simply aren't camera-ready at all times. Facetune makes it easy to quickly patch up whatever imperfections may need addressing, and you don't need a black belt in Photoshop to figure it out. 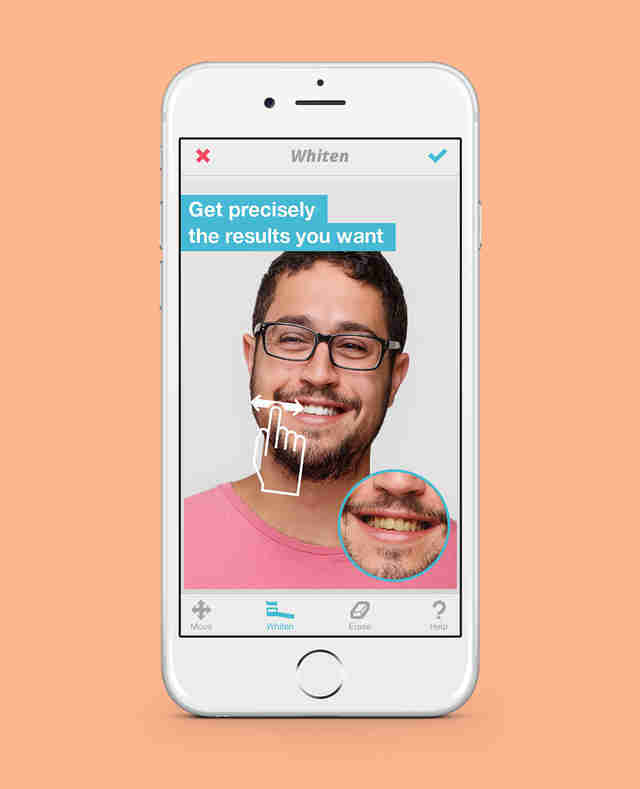 In a matter of swipes, you can fix blemishes, whiten teeth, tweak facial symmetry, and enhance a whole bunch of other elements to keep you and your vain-as-hell friends looking fresh no matter what. 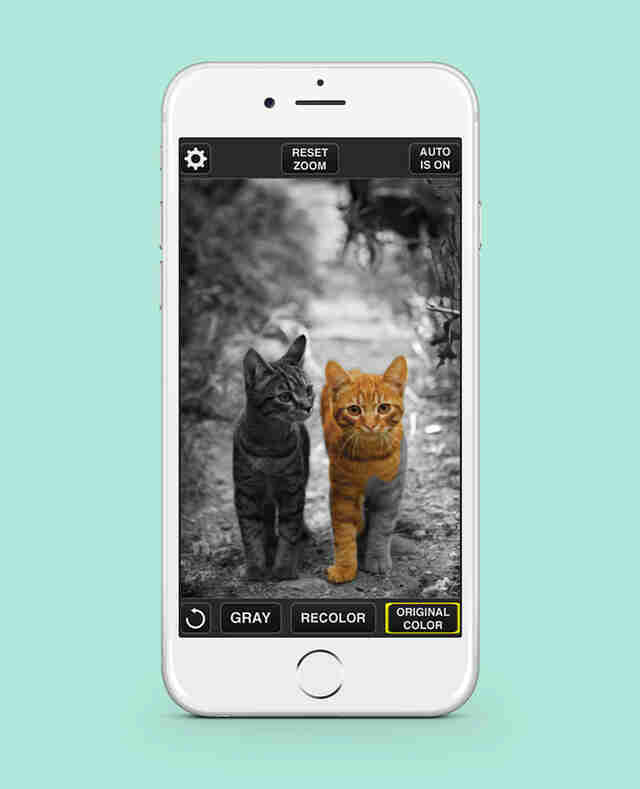 Why you need it: You can dramatically alter the colors in your photos. If you've been meaning to recreate that stunning shot of the girl in the red dress from Schindler's List (or, like, something way less depressing), this is the app to do it with. It makes it incredibly easy to not only isolate particular colors in an image to highlight a particular subject, but also switch up the color composition entirely or in just a portion of the frame. 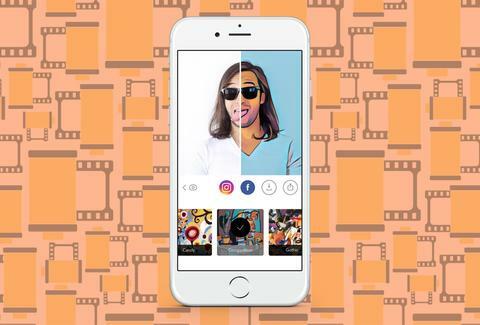 Why you need it: You can transform your photos into cool works of art. Slapping a heavy-handed filter on your photo is rarely the right thing to do, but in this case it's worth it. Using artificial intelligence, Prisma completely transforms your photos so they look like unique pieces of art, done up in the style of greats like Picasso, van Gogh, and Levitan, so even the most random pic looks canvas-worthy. Why you need it: It gives you control over your camera's shutter speed so you can capture stunning photos in low light. 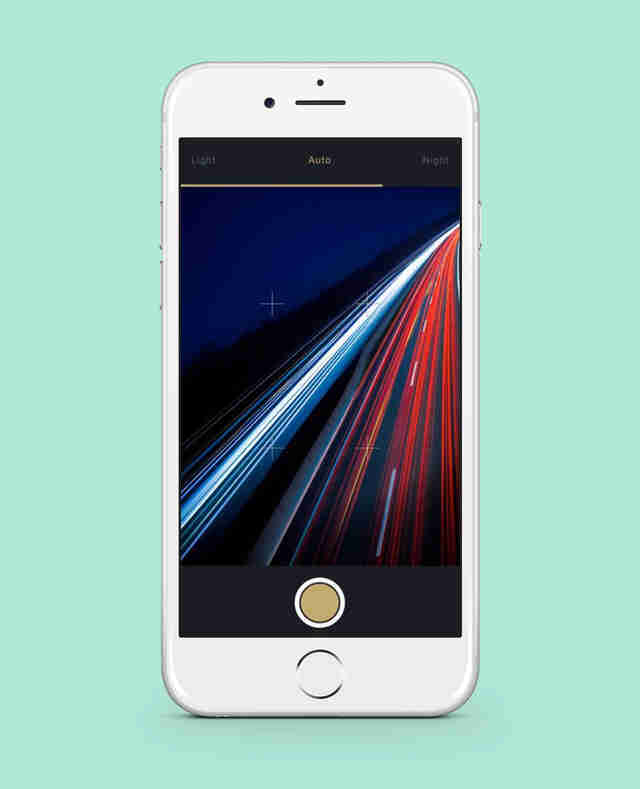 While this isn't necessarily an app you'll use to enhance photos after you've shot them, it opens up the possibility for you to better capture stuff in low-light scenarios, which is otherwise notoriously difficult with a smartphone. Even better, it also makes it easy to compose trippy blurring effects and even experiment with light painting. Joe McGauley is a senior writer for Thrillist and pretty sure Facetune has devastated the online dating scene.